For the Affordable Care Act (ACA) or Obamacare, we have resurrected the term “Obamneycare,” coined in 2011 by Tim Pawlenty, one of many 2012 Republican Presidential candidates. During the political circus surrounding the Republican primary season, Mr. Pawlenty coined Obamneycare in an attempt to discredit fellow Republican Mitt Romney, the architect of the successful Massachusetts experiment known as Romneycare. Mr. Pawlenty was absolutely correct in his assessment, and we believe that Obamneycare is a perfect bipartisan term for what is now the Affordable Care Act, for it does reflect how the ACA has been very much a bipartisan effort, despite the myriad Republican denials. Love it or hate it, Obamneycare is here to stay. We love the idea of Obamneycare, but it will only work if the kinks are worked out – and soon. We would like to hear your Obamneycare stories, both positive and negative, because we believe that knowledge is power, and if your stories are told, perhaps someone in power will listen and actually fix the problems. In addition, we have included important healthcare information for each state, including links to official state sites and state exchanges and expanded Medicare sites. Whenever a link ends in .com or .org (instead of .gov), we have verified that the site is, indeed, sanctioned by your state. Some of the links we found were dodgy, and it is important that you avoid the myriad scam sites popping up. The best way to avoid sketchy websites: link through your official state website, Healthcare.gov, or call the Obamacare hotline: 1-800-318-2596 (TTY: 1-855-889-4325). We have set up individual state threads (see right side panel for links); simply tell your story in the comment section for your state. 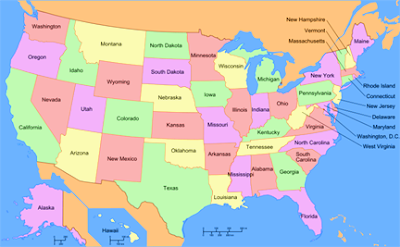 If you would rather not reveal your state, you can post here.